I was so impressed by the insights each Tarot professional had to share. 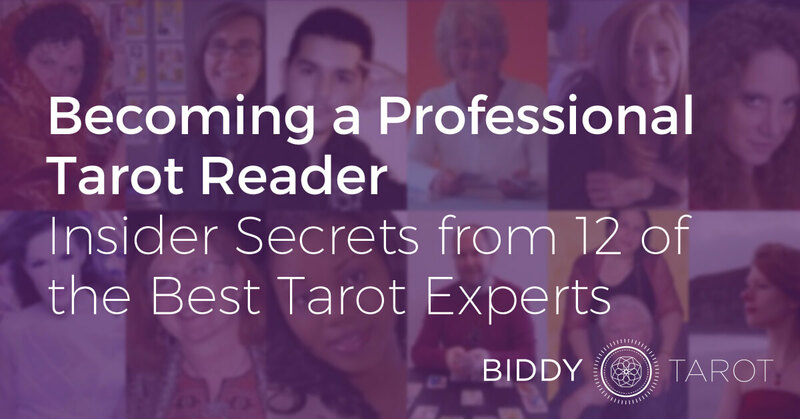 From being true to yourself, to practising at local events to being consciously ‘professional’ – you’ll be amazed too at what these Tarot experts have to say. And when you’re done, I would love to hear your unique tip for becoming a professional Tarot reader in the comments section. Becoming a professional tarot reader is no easy task. There are many things to learn besides tarot. First, being a professional in any field requires a certain level of professional etiquette, specifically communication. Second you need to promote a professional appearance. Communication deals with all forms of interactions with your client. Other than being a tarot reader I have been working in the banking industry for six years and I have learned a great deal about communication. I read online via email, so my written communication skills need to be very polished. Response time is important. You want to make sure your clients are not waiting around for hours waiting for a response from you. Secondly, what is inside your emails is very important. Proper grammar is important, because using slang, abbreviations and having spelling mistakes makes you look immature and unprofessional. You are not texting your best friend, you are communicating with a paying client, so act professionally. Professional appearance is also important. This comes through in how you dress and look, and how your website looks. If you read in person will you dress the part as a gypsy? Or will you dress more ‘normal’? It all depends on your character, style and personality. Website appearance is critical. My own website has gone through many incarnations over the last ten years. From my own creation from what HTML I learned in high school to my current HTML5 site powered by wix.com, I have tried to capture my essence as a reader online. I have done dark and spooky, mystical with stars and the whole shebang. Finally the uncommon advice – be selective in who you read for. You do not need to read for everyone; you are not obligated to read for all of humanity. Have a standard for your practice, what type of clientelle you wish to read for. Why be selective? Because if you read for everyone that wants a reading from you, you will find yourself in situations you would rather not have. Dealing with clients you would rather not deal with, answering questions you rather not answer. You decide who you read for. Learn more about Angelo Nasios and read his Tarot blog at That’s Totally Tarot. Never believe you know it all. I think the moment we grow overly confident that we have nailed all there is to know about Tarot–BOOM. The Universe tosses a golden apple at our feet then giggles like a mad thing when we fall on our noses. Because I don’t believe I can ever know it all, I am always learning more. I learn from everyone I encounter including my clients. I leave space in our consultations for them to share their thoughts on cards. This has enriched me more than I can begin to say. Learn more about Arwen and connect via Facebook. “Know thyself” was inscribed over the entrance to the Temple of the Oracle at Delphi in ancient Greece. This is good advice for all seekers and especially those who want to be professional Tarot readers. Know the special perspectives and gifts that you bring from your non-Tarot background. Know your motivations for taking your Tarot to the professional level. Know your own special way of working with cards and revealing their wisdom. Know your boundaries, those things that you will and will not do or read about. Having a personal practice that incorporates Tarot is a great support for the building of both self knowledge and a connection to that which is greater than yourself. I’m assuming that you have a grasp of the cards if you are considering going pro. But, I say, never assume you know all about the Tarot. Keep learning through exchanging with others, exploring new innovations in Tarot, and having beginners mind when you approach the cards. The cards and their storehouse of symbols continue to fascinate me because they are constantly revealing something new. Become a Tarot professional because the cards are both familiar guides and constant teachers. Then step into the dynamic flow of the Tarot and enjoy the adventure. Learn more about Carolyn Cushing and connect via Facebook. My book “Fortune Stellar: What Every Professional Tarot Reader Needs to Know” offers a great deal of advice to aspiring tarot professionals, including two primary pieces. One is to use tarot to plan your business. So often we forget to use our best tools for our own benefit! The other is that it’s your business – you can fashion it any way you want! Beyond that my best advice is to foster two things – one in yourself and the other in your business. You need patience and your business needs good will. You need the patience because it takes some time to develop that good will. What is good will in business? Good will is the trust you earn over time. It is your reputation as a professional. Whatever your venue, good will is the true value of your business. Good will brings you return clients. Good will brings you referrals. Good will sells gifts certificates because your clients can think of no better gift for their loved ones than a reading with you. You earn good will for your business over time. You earn it by being reliable, charitable and compassionate. You earn it by having good ethics and good skills. You earn it by being there when you are needed. You earn it by being visible. In my years in business I have been a high school student’s senior psychology project. I have read at countless charity events. I have taught programs to senior citizens in assisted living. I don’t earn money for doing these things – I earn something far more valuable. I earn good will. There is no replacement for good will, and no short cut. Good will is the advertising you can’t buy, the respect you must earn and the commodity that will make your business a success in years to come. Learn more about Christiana Gaudet or follow her on Facebook. My advice would be that no matter what you feel the cards indicate, avoid giving advice on matters where you lack knowledge or experience. This goes beyond the obvious legal, medical or financial areas, in which one may not have licensing or certification. So consider for instance, if you have never owned a business, how would you be able to advise an experienced business owner? In addition to this, do not be afraid to use phrases like, “it’s not clear”, “it’s a possibility” or “ I don’t know”. Learn more about Gina Theis and connect via Facebook. The thing that makes your tarot readings shine is the same thing you must use to navigate your business — your intuition. Listen to it when it tells you not to read for someone. Heed it when it warns you against accepting that tarot gig. If it’s nudging you to take a risk, take it. If you can trust it when doing a reading, you can trust it for your day to day business life as well. Get advice from pros, too, because intuition will only take you so far. You need practical advice on how to set up and run your business. Network with other tarot professionals. Be proud of what you do and get the word out about yourself but don’t be annoying. Nobody appreciates someone who is constantly promoting themselves on social media. It appears desperate and needy. Share yourself, let people get to know you, engage and interact with people. BE YOURSELF. Don’t fall prey to the temptation to imitate someone you admire. We don’t need another like them, we need your specific gifts and talents. The tarot community is a smallish pond and sometimes we inadvertently step on each other, think of the same things, and get the same brilliant ideas. That’s ok as long as you present it with your own flavor. No one else can bring to the table what you have in quite the way you do. Learn more about Ginny at her blog 78 Notes To Self or follow Ginny on Facebook. First, know who you are and what it is that you offer as a tarot practitioner. What are the primary facets of your personality that people will likely encounter? What are your interests, your dislikes, the aspects of you that endear you to people, the aspects of you that are less endearing, the traits that (at this point in your life, anyway) add up to the image you present to the world? Who is most likely to resonate with that image? Reach out to them. What unique perspective or process do you bring to your tarot practice? What is it that you actually do in a session? What have people told you stands out as your gift to tarot reading? Build on it. Don’t spend too much time telling people what you don’t do. Focus on what you DO offer and what your style IS. Gear your words, images, and other materials to people who are most likely to appreciate the experience that you offer. There’s no point in offering predictive readings to people who want psychological insight and it’s futile to publicise tarot counselling to folk who want psychic readings. Know yourself, know your audience, and be clear about who you are and what you do. Second, the word “professional” invites us to contemplate the verb “to profess”. When a member of a religious or spiritual community makes her/his profession, s/he is publicly taking a vow of dedication to whatever is sacred to her/him. At that moment, a person remembers his/her holy calling and solemnly affirms his/her commitment to that calling as faithfully as possible. Then tangible symbols of the profession are given to the initiate. What might a professional tarot reader’s version of this look or sound like? What, to you, is sacred? To what are you called as a tarot practitioner? How might you declare your dedication? How might you receive the symbols of the tarot in a way that encourages you to be of service? In your own way, make a vow to be an excellent practitioner of, and ambassador for, the best that the tarot can offer. Learn more about James Wells. So, the best thing I ever did for my own self-confidence as a professional Tarot reader was to preface all my sessions with a nice cup of tea. I’m British, we run on tea. If you’re American, coffee will do, or perhaps even a hot chocolate, a herbal infusion… The important thing is that this warm beverage is something that immediately triggers a certain response in us: ‘Mmmmm… and relax.’ It’s something we drink when we have friends over for a casual chat. We drink it when we want a break from work. We drink it when we want a moment out of time just for ourselves. So, make that cuppa, and make it well. And don’t be afraid to chat casually to the client while making it – this isn’t cheating! This hot drink (this bit even works with water) will also allow you, as a reader, to take a few moments away from doing the talking to just sip your drink and examine the cards. Often, we panic when we think we don’t know what the cards are saying, and those few moments of trying to work them out can feel like an eternity, and also like a failure. It isn’t. But we need a way to trick ourselves into learning that! So, while your lips are wrapped around the cup, they can’t be forming words. And that means you can think unhindered by fear. It’s also very easy to dehydrate while reading, so the beverage helps with that. Learn more about Kim Huggens and discover her Tarot deck, Pistis Sophia Tarot. Your job as a tarot reader is so much easier if you help clients formulate their questions. For me, this is the key to an effective reading because it allows clients to explore their issue more fully. I steer people away from closed questions, that is, questions like ‘Will I get the job I’ve applied for?’ The only answer here is ‘yes’ or ‘no’. For me it’s more effective to help clients ask open questions. Then choose a layout which points to a likely outcome but also offers a range of issues to be considered. In other words, readings that help clients make informed decisions. Let’s tweak the question to be ‘What will happen as a result of the job application I’ve just submitted?’. For this sort of question I use a seven-card layout with one card providing ‘the answer’ and other cards indicating a short term outcome, a longer term outcome, the environment surrounding the question and so on. If the Five of Swords is the ‘answer’, the Six of Wands the short term outcome and the Devil the longer term outcome, you could talk about stiff competition for the position, followed by your client being the successful applicant. However, you could also say that the cards are indicating your client may find the job frustrating a year or so down the track due to restrictions that were not immediately obvious. This gives you client ammunition for their interview, alerts them to the need to seek more information about the nature of the job so that, when offered the position, they can make the decision that’s right for them. So, ‘get the question right’ is my single piece of advice! Learn more about Linda Marson on Global Spiritual Studies and Experience the Tarot. The best advice I can offer is that, after you’ve gained familiarity with the cards and have read for family, friends and friends of friends and now want to hang up your shingle, you can benefit from a rite of passage. I suggest one that both tests your ability to work with clients and pushes you to the next level. The ideal way to do this is to volunteer to read at a charity event or for good cause, but any faire that will allow charity readings can work. It’s best if you read for two full days, although one long day may suffice. 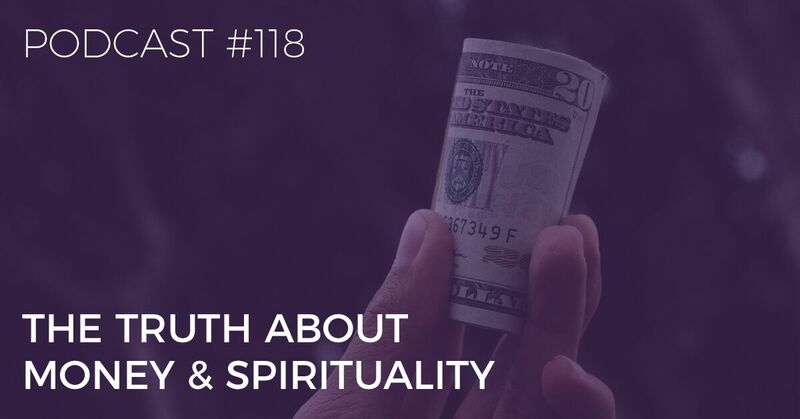 Charge a tad lower than professional rates for short readings (15-20 minutes is usual) with all the money going to the cause (it’s even better if the organizers collect the money). Hopefully, you will be busy the whole time, so make sure you bring water and an easy-to-munch-on snack and that you schedule a couple of breaks. If someone asks for a reading at the very end of the day, try to fit them in. You want to push yourself beyond what you think you can do, for, when you reach that point, there is often a breakthrough. At the end, note the things you learned, what you did best and where you could improve. If it’s okay with the organizers, distribute your new business card or flyers and make a professional sign. At the end of a very full weekend, I guarantee you’ll be on the far side of the divide with a bevy of professional readings under your belt. One final thing—make sure you know and comply with local laws and business regulations. Learn more about Mary K Greer. One of the challenges you might face once you’ve decided to go pro is where to find those first clients. Friends and family are great for practice, but it might be awkward to start charging them, especially if you’ve been reading for them for free. However, don’t feel shy about asking them to refer you to their friends and co-workers if they’ve found your readings helpful. If there’s a local metaphysical shop, find out if they host readers at the store. If so, offer an “audition reading” to the shop owner. You’ll most likely have to split your fee, but it can be a good way to get known in the community. Check with area cafes and restaurants, as well. If you have your own personal service business (bodyworker, hairdresser, yoga instructor, etc. ), you’re really in luck! Your own clients are a great source of potential reading clients. They already know and trust you, and are already used to paying you. No matter where you find your clientele, make sure you have a professional looking website where prospects can learn about you, your approach to reading, the types of readings you offer and price schedule. Your business card should include your website’s URL, your phone number and email address as well. Learn more about Ruth Ann & Wald Amberstone and connect via Facebook. Tarot Reading is a fabulous, noble profession, allowing you to create your own schedule, set your own hours and indulge in your passions. Best part? Zero start up cost. Two essential elements stick out in my mind if you seek success. Tarot Readers historically operated on the fringes of society but it doesn’t mean you should. Write a business plan, invest in a marketing strategy, get to your local Small Business Administration to find support etc. Return emails and business queries immediately. This is especially important if you want to work parties and events which is guaranteed to bring you the most income in the least amount of time. Never get catty with other readers. There are over 7 billion people on the planet. Trust you will find your client base. “Know Thyself,” an ancient Greek motto salient for your life and career. Know who you are. Be true to it. A Tarot Reader has the luxury of creating her own mystique, we are goddesses of insight. The public expects us to be eccentric. Don’t feel like you have to “fit in” in order to become a successful business woman or man. Use what makes you special in attracting like minded clients. Are you a goth chick, obsessed with darkness? Create a reading chamber akin to Hecate’s boudoir. Are you a passionate gardener? Offer garden readings in the midst of cultivated flower beds. Take what makes you special, what you love and place it in the center of your Tarot business. And by the way, one of my favorite things about being a Professional Tarot Reader? Aging only works to our benefit. 🙂 Good luck oh wise one! Learn more about Sasha Graham and check out Tarot Diva: Ignite Your Intuition Glamourize Your Life Unleash Your Fabulousity! P.S. Ready to ‘Go Pro’? Taking the first step to becoming a professional Tarot reader can be very daunting. 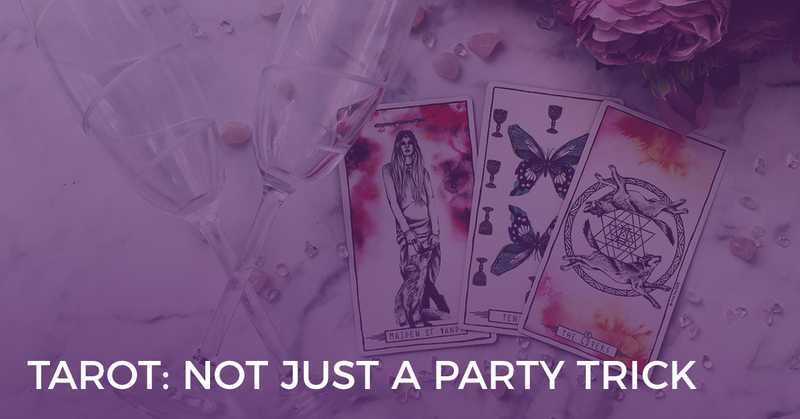 Not only do you need to feel confident in your Tarot reading skills, you also need to know how to manage a business, promote yourself (without sounding like a sleaze) and build long-lasting relationships with your clients and potential customers. It took me 15 years to fine-tune the strategies that I use and teach today. I now draw upon these highly effective strategies as I coach aspiring Tarot professionals to take the leap and ‘go pro’. I’ve done the work so you don’t have to. 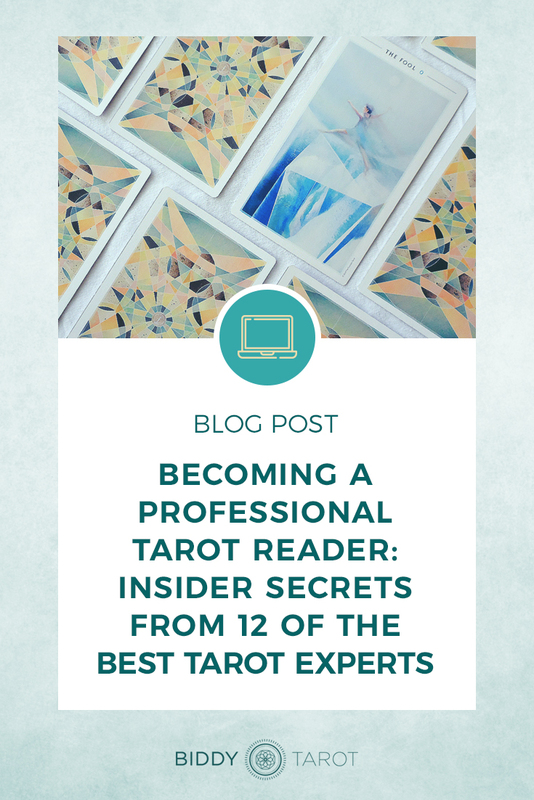 By working with me, you’ll be able tap into these strategies and business know-how instantly and launch your professional Tarot reading career with a bang. 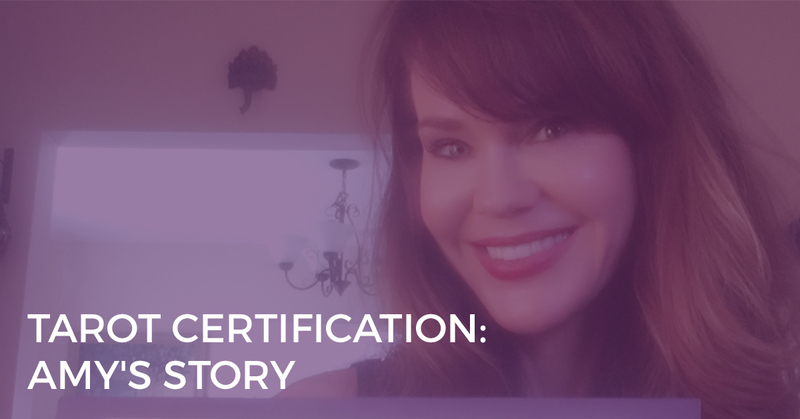 To learn more about Growing Your Tarot Business online, join my free training on the 6 Pillars of Business.